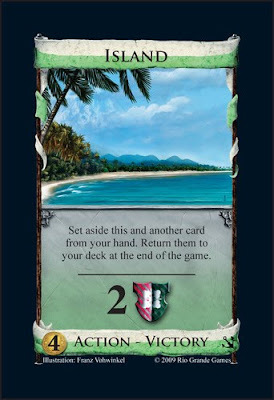 Death of Monopoly: Dominion: Seaside cards! I can't believe this. I swore off buying Seaside because I have the first two and thought I wouldn't need the third. 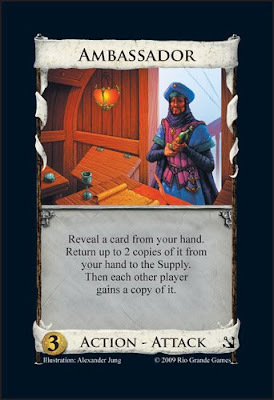 I've only played Intrigue less than ten times. Now I see these cards you posted and I think I have to have them all. Thanks. If I have any restraint at all, I can wait until I see what all the cards are. So keep posting what you find out! I expect the complete the complete set o be posted by the end of the week when Spiel happens in Essen.